Fires cause more severe damage than most types of disasters and the nature of the damage means that each case is unique. 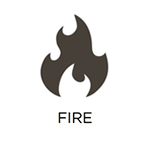 The cause, size, and damage of a fire can vary widely and it is these factors that determine how best to go about the fire damage restoration process. RestorationMaster provides fire damage restoration services to Cleveland, OH and the surrounding areas to minimize the damage and help restore your home or building after a fire. We use the most advanced cleaning methods and equipment in the industry to effectively restore and repair the damage caused by fires and smoke. It is important to call us right away after a fire because the damage can continue to spread even after the fire is extinguished. 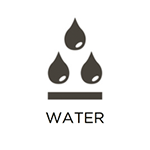 Water damage is a common problem that can lead to a variety of different issues including property damage, mold, bacteria, and electrical issues if the restoration does not begin soon enough. 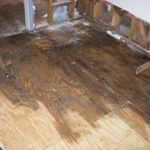 It can be caused by flooding, heavy rain, burst pipes, and sewer and drain backup and the porous building materials of a home will allow it to keep spreading until it is removed. RestorationMaster provides water damage restoration services to help homes and businesses in Cleveland, OH recover from water damage. We use the most advanced specialty drying equipment to remove water and moisture from your home and we are the only water damage restoration specialist in the Cleveland area that also provides complete reconstruction services to repair the damage. 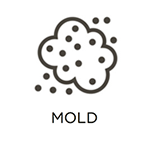 Mold growth can occur anywhere within a home or building at any time if the right conditions are met and it is difficult to permanently remove mold once it starts. The consequences of mold growth can include property damage as well as adverse health conditions for those that are exposed and if the mold is not removed by a certified professional, there is a good chance it will grow back. RestorationMaster provides mold remediation services in Cleveland, OH to remove mold growth from homes and buildings. We respond within just a few hours of your call to stop the spread of mold and remove it with our advanced cleaning methods and equipment. 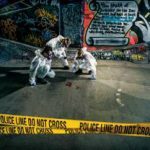 Crime and trauma scenes can be emotionally overwhelming to those that experience them and they are also unique situations that require highly specialized restoration services for safe cleanup. If a trauma scene contains biohazard materials such as blood and bodily fluids from a serious injury or death, they must be removed by a certified professional because handling them improperly could spread infection or disease. RestorationMaster provides crime and trauma scene cleaning services in Cleveland, OH to safely cleanup and restore scenes involving serious injury or death. We understand the emotional stress that comes with these situations and our technicians work with a sense of compassion to get your life back to normal as soon as possible. 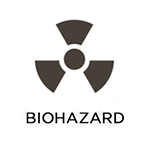 Biohazard materials include bodily fluids such as blood and tissues as well as other dangerous materials including sewage, mold, bacteria, and chemicals. Regardless of what situation you encounter these materials, they must be cleaned up and removed by a professional that can safely handle them without spreading infection or disease. RestorationMaster provides biohazard cleaning services to safely remove biohazard materials in Cleveland, OH and clean and restore the surrounding area. We have the training and expertise to safely handle the removal of all types of biohazard materials and in cases involving an injury or death, we work with a sense of compassion and respect for those who may be grieving a loss. There are several situations in which it is common to find blood but it must always be approached cautiously. Blood is a biohazard material that can potentially contain dangerous viruses and bacteria which is why it must be cleaned up by a certified professional. RestorationMaster provides blood cleaning services in Cleveland, OH to safely remove blood from the scene of a major injury or death. 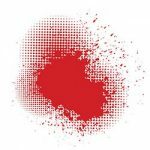 We use advanced cleaning products and equipment to remove blood and stains and we can also disinfect the scene to prevent the spread of infection or disease. Office and commercial buildings are just as vulnerable to disasters as homes and when a fire, flood, or extensive mold growth occur in a commercial building, it is just as important to take immediate action. RestorationMaster provides commercial restoration services to help businesses in Cleveland, OH recover after a disaster. Our technicians are dedicated to repairing and restoring your building and we also test the air quality levels to ensure that the environment in your building is safe for your tenants or employees. Quick reaction is the key to getting your business back up and running after a disaster and we provide fast written estimates to businesses in the Cleveland area. The Cleveland, OH area is prone to many types of severe storms including thunderstorms, wind, rain, flooding, tornadoes, blizzards and ice storms and each of these storms can potentially cause major property damage. Flooding and rain may result in water damage within homes and buildings and wind, snow, and ice can cause major structural damage that requires immediate attention. 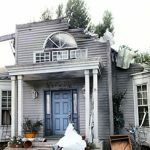 RestorationMaster provides storm damage restoration services in Cleveland, OH to help stabilize and repair homes and buildings that have been severely damaged in a storm.